Companies are not only under pressure to be “software-first” but also must rapidly innovate to remain competitive. Businesses have a very strategic mandate to move away from large monolithic compute and storage subsystems on-premise to more elastic, horizontally scalable multi-cloud architectures so that they can be agile and cost-effective. We’ve spoken at length about how cloud native solutions help enterprises outpace the competition. Businesses are at different stages of the cloud native journey. The industry focuses a lot of its attention on greenfield environments, but it is important to note that there are still over 21 billion cloud-connected Java Virtual Machines (JVMs). For those looking to move to cloud native architectures by decoupling monolithic applications, there are three insufficient options. First, a business can do nothing. They can keep the application as it is and bear the costs. Second, the enterprise can “refactor” the application by rewriting it. This process can take years and doesn’t result in any progress as the application’s features are essentially maintained in its current state. Third, the team can “extend” monoliths by drawing out key services to rewrite. Twitter and Lyft took this approach, but it is hard. Teams must manually learn the nuances of the application, add the functionality, test the new service, and regression test it to make sure it works with the old pieces. None of these options are ideal. Enter Solo and its GlooE platform, which helps enterprises modernize monolithic applications to containers and functions methodically, safely, and securely. GlooE leverages the Gloo open source function-level gateway that is built on top of Envoy. Gloo observes network flows and discovers services through gRPC calls, Swagger, HashiCorp Consul, and etcd. Gloo’s ability to catalog services within a monolith allows it to identify different components that can be retrofitted. Once Gloo inventories individual services, its strategic position in the stack allows it to reroute requests from the old monolith to new services including containers, functions, and third-party APIs. GlooE also offers scalability through HA, rate limiting, and caching as well as observability for real-time monitoring and data visualization. GlooE is backwards compatible so it can help businesses at any stage of their cloud native transition. We believe Solo’s modular approach to migrations versus lift-and-shift is the best way enterprise CIOs can embrace the cloud and save costs. 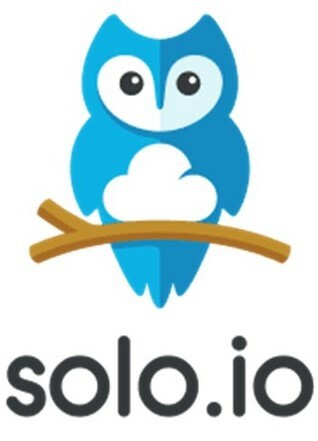 Solo was founded by Idit Levine, who has been a leader in the cloud space for many years from the Office of the CTO at Dell EMC to CloudSwitch (acquired by Verizon) and DynamicOps (acquired by VMware). Idit is a force of nature with incredible technical depth and thought leadership. When she isn’t coding you can find her on the conference circuit speaking about the future of DevOps and distributed systems. Idit and the Solo team have been able to cultivate impressive community support with deep engagements and positive feedback. Today we’re excited to announce that we led the Series A investment in Solo. We are thrilled to partner with Idit and her team to scale their business. Everyone talks about how companies need to modernize their software but is often a painful experience. Solo offers a solution that makes migrating to cloud native architectures seamless and easy. We look forward to working with Solo to offer the best enterprise solutions and services in the space.